Welcome back to part II of my retrospective look at the Batman games I grew up playing and even still play today. We left off with one of the all time classic and best NES games, Batman: The Videogame, which was inspired by the Tim Burton film. But the NES game was not the last game based on the movie. 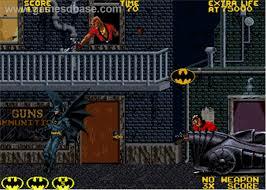 Batman: This one was an arcade only game released in 1990. Developed by Numega and published by Atari Games. This was a simple scrolling beat em’ up and featured scenes based on the 1989 movie as well as stages where you use the Batmobile and Batwing. 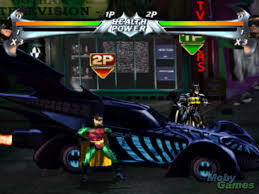 The game also used voices and images taken directly from the movie as well as featuring Danny Elfman’s amazing Batman score. With you playing as Batman patrolling the streets of Gotham trying to stop The Joker. The game was shallow and repetitive…but it was also good mindless fun. It’s an arcade game and designed to eat up your loose change. For a scrolling beat em’ up, this was not a bad one at all. Not a great game, but it was good enough to warrant a play or several. Followed the film fairly closely too and was interspersed with scenes taken directly from the film. As we leave Tim Burton’s Batman inspired games behind, Sunsoft just could not wait for the next film for their next Batman game. Again Developed and published by Sunsoft. There were various versions of this game released on other formats that all slightly differed from version to version, but it’s only the NES one I played. Joker escapes Arkham Asylum and you playing as Batman having to survive through several side scrolling levels set in and around Gotham City. Batman is only equipped with a “Batgun” that fires various, selectable projectiles. 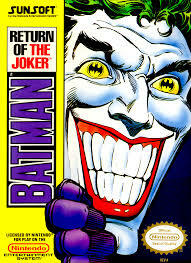 I didn’t find this one as enjoyable as the previous NES Batman game, it just did not have the same feel. This one felt more like a scrolling shoot em’ up. It’s was not a bad game at all…just not as good as the previous one. Still as it was from Sunsoft, you can again expect some great music. Worth a look. 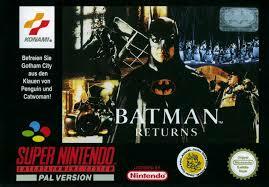 Next up we get an official game based on Tim Burton’s sequel film; Batman Returns. Batman Returns: Again, there were various version of this title. But I’m going for the SNES version for this retrospective as it was really damn good. Released in 1993, developed and published by Konami for the SNES. Batman Returns was a scrolling beat em’ up with some really great little touches to add a lot of depth to this fairly shallow genre. Massively redundant and mindless…but it was also an awesome and satisfying experience. Based on the film of the same name from Tim Burton, the game followed the film really well with you playing as Batman having to save Gotham City from Catwoman and the Penguin. 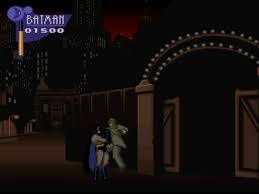 The game also featured a stage where you get to use the Batmobile. Very well received at the time and still fondly remembered as a great title. Simple in its style, but full of great little features and details. Like being able to grab 2 henchmen at once and smash their heads together (see above image), or being able to throw enemies into the background smashing windows and denting lampposts, etc. The game followed the film really well and was intercut with amazing cutscenes with written dialogue taken right from the film as well as using Danny Elfman’s infamous Batman score to great effect. Well worth playing through if you can. 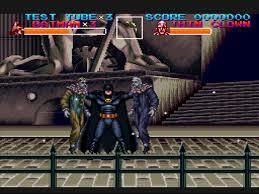 I’m going to stick with the SNES for my next pick of Batman games, this time based on the animated TV series. 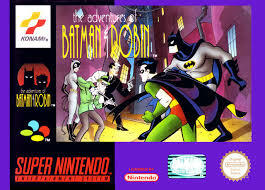 The Adventures of Batman & Robin: Was an action/platformer released in 1994 for the SNES. Developed and published by Konami and based on the critically acclaimed Batman: The Animated Series. You to play as Batman with Robin only appearing in cutscenes. Each level was based on one of the main villains with a rogues gallery like; The Joker, Poison Ivy, The Penguin, Catwoman, Two-Face, The Scarecrow, The Riddler, Clayface and even Man-Bat. Each level had it’s own flavour and style based on each of the villains which in turn was based on an episode of the TV show itself. A really great game. Dark, moody and well animated…just like the TV show it was based on. 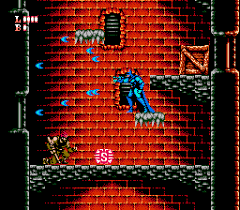 As each level had it’s own villain based aesthetic and style. The game brought a great mix of gameplay styles that offered plenty of variation from simple beat em’ up to head scratching puzzles. Next I’m going to tackle one of the worst Batman games ever made. 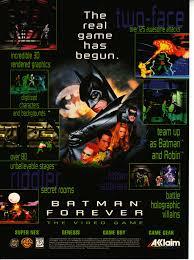 Batman Forever: Was Released in 1995 for the SNES, Sega Mega Drive, Sega Game Gear, Game Boy and PC. Developed by Probe Entertainment and published by Acclaim. Lets be honest, it does not matter which version I talk about as they were all really, really, really bad. Based on the third film in the Batman series of the same name. This game has you playing as either Batman or Robin, or even Co-Op 2 player…if you can find anyone that would want to play this game. This was a side scrolling beat em’ up with some of the worst controls ever made in a game. Sluggish combat inspired by Mortal Kombat, awkward gadget selection and usage. Even bad level design with little to no idea of where to go or what to do. I really have nothing to say here. It’s a terrible game and should be avoided at all costs, not even worth playing just for curiosity sake. Still, there was more from Batman Forever yet. 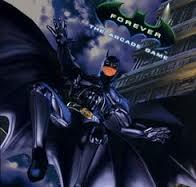 Batman Forever: The Arcade Game: Also based on the movie of the same name, but not the same game as the previous version. Developed by Iguana Entertainment, Published by Acclaim and released in 1996. This was an arcade game but later ported to the Sega Saturn, Windows and PlayStation. 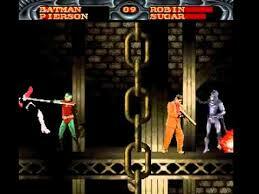 This was another one of those redundant scrolling beat em’ ups, but unlike the last Batman Forever game. This one was actually pretty decent. It was another mindless button mashing game and allowed you to play Co-Op as Batman and Robin trying to stop The Riddler and Two-Face. Decent action romp with a pretty good combo system allowing you to do a 150+ hit combo on one enemy if you knew how. Plenty of powerups, weapons and gadgets to use along the way. It is an inane button masher, but it still has some playability value in there and it’s far, far, far better than that previous Batman Forever game. So ends part II, but I will return in part III with the next Batman game based on the next Batman film. Same Batwebsite…yeah, I already did that one eh? This entry was posted in LBoG: Retrospectives and tagged arcade game, Arcade games, Atari, Batman, Batman and Robin, Batman Forever, Batman Forever: The Arcade Game, Batman game, Batman games, Batman Returns, Batman: Return of the Joker, Game Boy, Game retrospectives, Konami, LBoG: Retrospectives, Little bits of gaming, NES, NES game, Nintendo, PC, PlayStation, retro gaming, Retro gaming blog, Sega Game Gear, Sega Genesis, Sega Saturn, SNES, The Adventures of Batman & Robin, Tim Burton, Windows on 17/06/2015 by Steve Perrin.